It was a sweet visit. The doctor is kind and very helpful. She is very knowledgable and i would be goingagain for my second visit soon. It was a sweet visit. The doctor is kind and very helpful. She is very knowledgable and i would be going again for my second visit soon. My visit was great! Staff was very professional and welcoming. The clinic was very updated and clean. Dr Agarwal was veryinformative and explained in detail everything that was going on with my teeth. I would recommend her to anyone who asks for a dentist. My visit was great! Staff was very professional and welcoming. The clinic was very updated and clean. Dr Agarwal was very informative and explained in detail everything that was goingon with my teeth. I would recommend her to anyone who asks for a dentist. Dr. Agarwal is a graduate of Boston University Henry M Goldman School of Dental Medicine. She is extremely proficient in providing full range of general and cosmetic dentistry services beaverton OR , including restorations, root canals, same-day crowns, surgical extractions, invisalign and dental implants. She is a member of several prestigious professional associations like American Academy of Cosmetic Dentistry and American Dental Association. When she’s not in the office, you’re likely to find Dr. Agarwal involved in some type of community event, serving and getting to know the people around her. That’s because community service isn’t just a pasttime for Dr. Agarwal -- it’s the very heart of her dentistry practice. She believes that there is truly no better way to get to know her patients than by connecting with them in their own communities. Dr. Agarwal’s mission is to build personal relationships with every patient who trusts her with their care. She focuses on careful listening to meet each patient’s specific needs, as well as continuing patient education for proactive maintenance. While Dr. Agarwal’s treatment plans are tailored to each individual’s specific needs, her goals hold true for everyone she treats: exceptional oral health and a beautiful, confident smile. 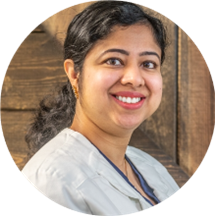 While patient relationships are at the forefront of her practice, Dr. Agarwal also dedicates extensive time to continuing her dentistry education. She completes over 100 hours of post graduate technical courses and conferences every year so that she can offer her patients the most advanced care possible. Dr. Agarwal looks forward to meeting you in your community and taking care of you in her office! Great visit!! All the staff was gentle and very kind. Highly recommended. I love all of the staff here! Everyone is so nice and they all make you feel welcome from start to finish. I also had to reschedule my appointment and they were on top of it! I feel like the quality of care here was above and beyond. I have some ongoing thyroid issues which have recently begun to affect my teeth, but the staff at Definition Dental have created a treatment plan that will allow meto heal and prevent that damage. I went in for an exam and cleaning, but came away with a wealth of knowledge about how to help manage my condition and the effects it’s having on my body. They are also incredibly accommodating, and have managed to fit me in twice around a awkward work schedule! I definitely recommend! All of the the workers and the dentist are very friendly! Very professional office . Everyone was patient and insightful , they are now my new permanent dentist! Modern office, clean and has very friendly staff. Doctor was very knowledgeable, explained my treatment options really well and guided me to make the most informed decision. Very pleased with my visit and highly recommend definition dental. My visit today was one of the best dental experiences I have had. Everyone was so professional, caring and attentive to my needs. Dr.Agarwal genuinely cared about my concerns and answered all of my questions, she really took time to makeme feel at ease and confident in my having to come to see her for my future dental needs. The front desk ladies are wonderful too. Helpful with insurance and helping with financing to get started. They genuinely care at Definition Dental and I will highly recommend them to my family , friends and neighbours Thank you to the great team at Definition Dental! My experience here was amazing, from the moment I walked in the staff was very pleasant . The Dr. Is very patient, kind and knowledgeable; I would highly reccomend them to anyone. Dr and assistant were both very gentle and polite. Always made sure to ask if i was doing okay. It was okay. I don't really like having my teeth cleaned, but I thought she did an okay job. Very nice and professional! Everyone in the office was very nice! I didn’t feel judged! Thank you so much ! Very personable, and the dental assistant who did my x-rays was so sweet!